It is important that students get used to organising their time and studying on their own, both at home and during private study periods. It is assumed that if you enter the Sixth Form you are personally committed to the idea of academic study. Lessons, which will vary in style, are a central part of the course, but it is assumed that you will supplement work done in lessons with your own reading and research. A capacity for independent learning is the key to success at A level and an important skill to be developed ahead of the transition to undergraduate study. 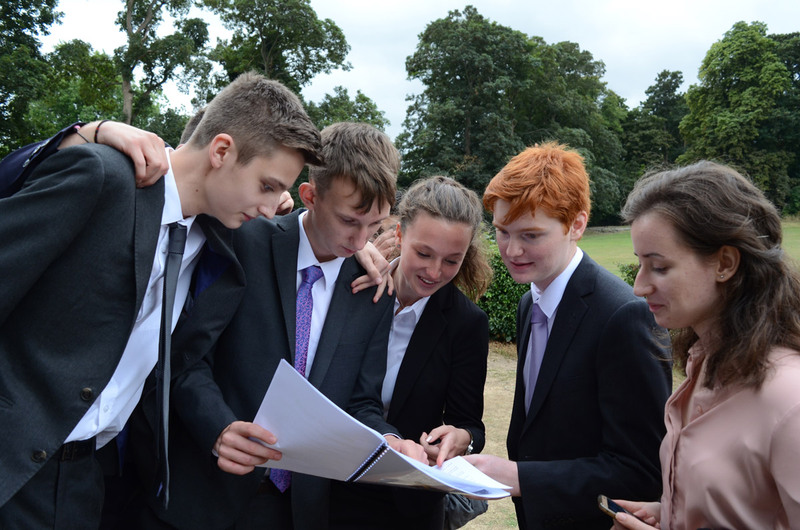 Students take internal examinations at the end of the Lower Sixth. They are expected to achieve good results at the end of the first year, and permission to proceed to take the A Level in any subject is at the discretion of the Headmaster. 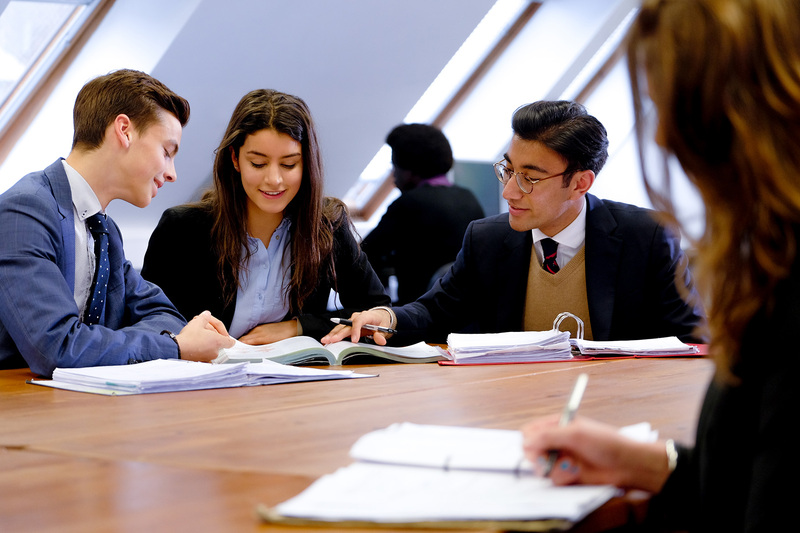 In the Lower Sixth, private study time is incorporated into the allocation of time to subjects and is supervised by subject teachers and tutors. In the Upper Sixth, students can opt to work in the Library or the Private Study Area in Aquis Court during their study periods. On completion of a Parental Consent Form, they can opt to study at home if they have no further lessons on any afternoon. As a general guideline, assuming that the whole School day is work, Lower Sixth students will be committed to thirty periods of fifty minutes each (twenty-five hours) per week. To fulfil the reasonable demand for a forty-hour week, this leaves students with fifeen hours to find in their own time. The School recognises that students cannot move straight from the Fifth Form, in which every period is a taught lesson and homework is set by the week, to working like an undergraduate, without a clear framework of support and planning for increasing independence. When Sixth Form students are free, they are expected to engage in unsupervised, self-directed work. However, closer supervision (sometimes through being on Monitoring Report) may be given to those who prove themselves not yet ready for this level of independence. The Heads of Sixth Form will address both students and their parents on the Higher Education choices available, the UCAS applications process and student nance. They will be pleased to arrange appointments with individual students or parents on request. 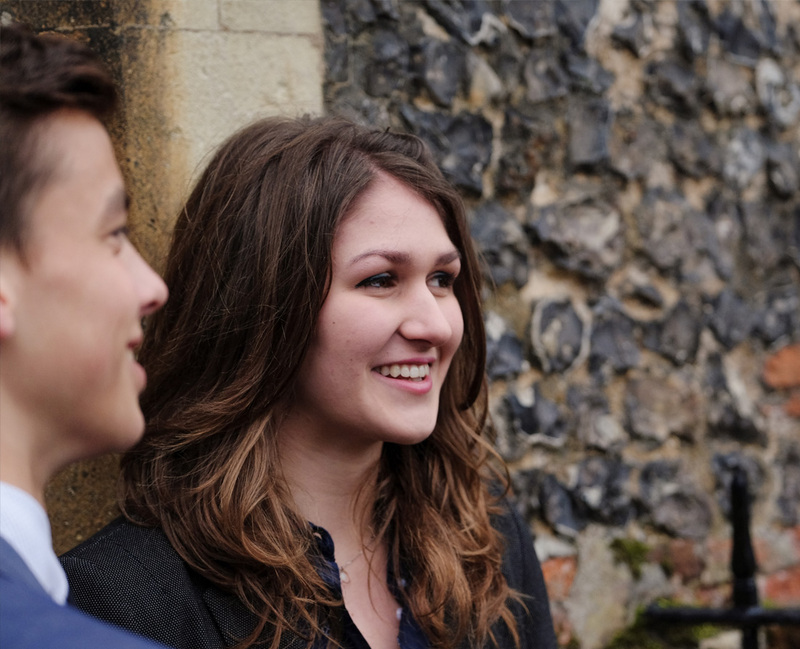 In the Lower Sixth, students benefit from a comprehensive programme of Higher Education support. In the Spring Term, guidance is provided on how to choose the right course and the right university while in the Summer Term a whole day is dedicated to how to complete the online UCAS application successfully, the construction of Personal Statements and matters concerning student finance. In addition to these presentations, students are issued with a Higher Education and UCAS Guide to support them along the way. The School also runs a comprehensive programme of Higher Education presentations, often delivered by former students as well as by professional organisations and Gap Year providers, throughout the year. To help them guide their sons and daughters through the Higher Education application process, parents are also invited to attend an open evening designed to give advice on how best to support students through this challenging and demanding time. The Heads and Deputy Heads of Sixth Form are available during free periods and by appointment after school to help students, and indeed parents, through the applications process for all universities. There are also dedicated members of staff to advise on Oxbridge entrance and on applications for Medicine, Dentistry and Veterinary Medicine. For those students applying to courses where interviews and aptitude tests are an integral part of the selection process, the School will arrange interviews with prospective applicants in the Summer Term of the Lower Sixth and provide regular support culminating in a programme of practice interviews in the Autumn Term of the Upper Sixth. The careers programme in the Sixth Form is administered by Mr Brien, Deputy Head of Sixth Form – Higher Education and Careers. In the Lower Sixth, students will be expected to undertake one week of Work Experience in the Autumn half term and in June will participate in a two-day Business Conference, working with figures from the local business community. Twice a year, targeted Careers Evenings are organised for students and parents on areas such as Finance and the City, Law, Medicine, or Science and Engineering. e Engineering and Technology Society promotes opportunities in these disciplines. Students will be expected to participate in one of the extra-curricular activities offered on Friday afternoons. These include the Combined Cadet Force (CCF), Community Link, Conservation, the Partnership Scheme with local infant and junior schools, Publications, VLE Support Group and Stage. Students have the opportunity to give back to the community, develop their interpersonal skills and assume positions of responsibility. All such activities can count towards the Service or Skills section of the Duke of Edinburgh Award.